James and Sophia's son Charles was born in !858 and Baptised at Lambeth Trinity Church 10th October. The family were living at this time at 11 South Street Lambeth. The Census below from April 1861 shows Charles aged four living with the Harris family at 40 King Street Lambeth. The Census showss the number of people living at this address. Ten years later when the 1871 census was taken the Harris family were ling at 17 Shepherds Place Kennington. Charles is now 13 Years old. Charles Harris we believe married around 1879 but we can find no marriage certificate. His wife was his cousin Annie Eliza Thomas. She had married William Stow in 1876 and they had a child in 1877 named Harriet Eliza Maude Stow. Official records show on the 1881 census that neither the parents or child can be traced. However William Stow remarries in 1886. It would appear that the child died in infancy and the parents split up. Annie Eliza reverted to her maiden name of Thomas and moved in with her cousin Charles Harris. They couldn't officially marry as she was still legally married to William Stow. When he married again he declared himself a widower which of course was untrue and bigamous. The census below shows Charles and his wife Annie Eliza in April 1881. They are living at 202 Mayall Road Brixton. Also with them is their son Charles Lionel Harris who was born in 1880. Albert Thomas (1885), Sidney Frank (1887), Edith Priscilla (1889). .Three of the Harris children are shown below in this edited school attendance record book. It shows Ada, Edith, and Lydia's attendance from when they moved into the area to when they left. 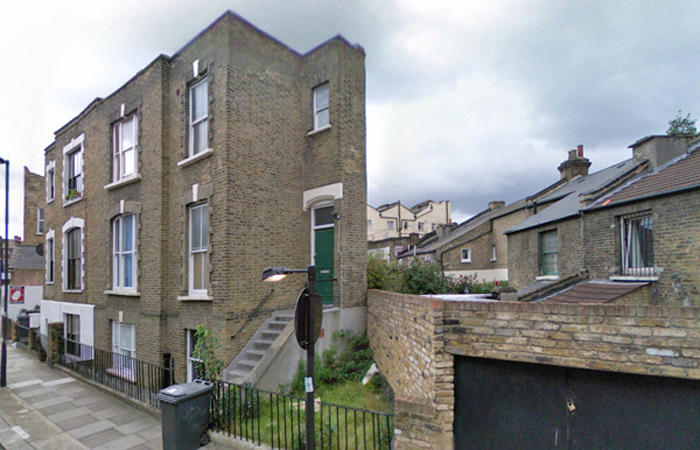 The family were living at 10 Belinda Road, Loughborough Junction in February 1895, but shortly moved. .Charles Harris and family had moved by 1896 to 8 Pomfret Road Loughborough Junction Brixton. 8 Pomfret Road Loughborough Junction Brixton - present day. .Charles Harris was the informant of the death of his father, James Banfield Moore Harris in September 1896. Lydia Mimi (1891), Percy Augustus (1893), Maude Beatrice (1895), Horace Walter (1897) and Florence Lyle (1900). The 1901 census shows Charles Harris and his wife Anne and family living at 8 Pomfret Road Loughborough Junction near Brixton. Charles Harris and family had moved by 1905 to 35 Mansion Street Camberwell. Charles Harris and family had moved by 1911 to 35 Mansion Street Camberwell. Charles Harris lived until 1911 when he died in Camberwell. His wife is recorded on later Electoral Registers as Lyel Harris. She diede in 1924 aged 63.